In 1952, the Society of Friends celebrated its tercentenary. 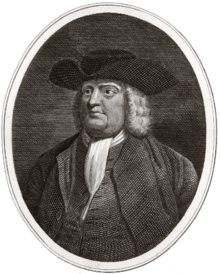 One of the Quakers' greatest achievements was the founding of the Commonwealth of Pennsylvania in 1681. By Henry J. Cadbury. The society of friends, or Quakers, has been celebrating the year 1952 as the tercentenary of its birth. No episode in its three centuries of history surpasses in interest or importance the founding of the Colony, now Commonwealth, of Pennsylvania. One of the latest of the British colonies to be organized on the Atlantic seaboard, it was also one of most rapid growth. Other colonies were under Quaker control for a time, including Rhode Island, East and West Jersey and North Carolina. In Pennsylvania the Quaker influence was paramount from the start and for more than seventy years.